Team Up. Thrown Down. 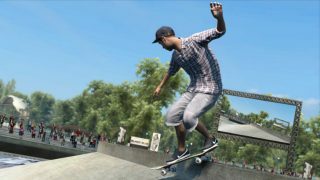 The award-winning SKATE franchise returns to break new ground with SKATE 3. 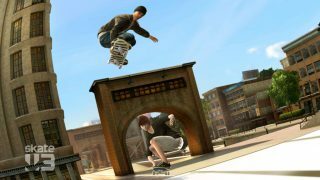 Delivering the definitive co-op skateboarding experience, it's up to players to build the ultimate team and change the face of the city. 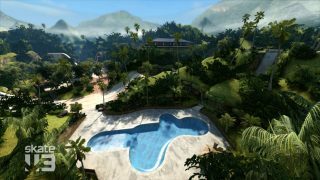 Get ready to take on unique team challenges, compete against rival crews online and shred the streets of the all new skaters’ paradise, Port Carverton. 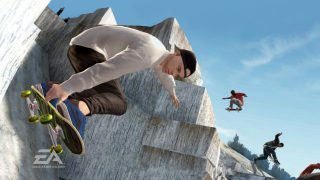 Everyone can throw down in SKATE 3. 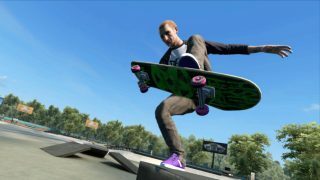 New skate fans can learn the ins and outs of skateboarding with the all-new Skate.School - a place to practice and hone their skills on the sticks before hitting the streets with their team. 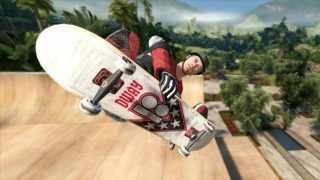 SKATE 3 delivers all the camaraderie and competition of skateboarding. 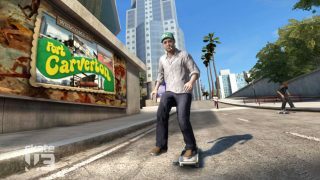 New tricks, improved off board actions, and gnarly Hall of Meat carnage mixed with exciting new team-based gameplay takes SKATE 3 to a new level of skateboarding fun.